Some people from Bihar are posing threat to law and order. News paper reports are its proof. Migration definitely disturbs socio-economic conditions of locals.Skilled labour contributes but unskilled creates law n order as well civic problems.With every one skilled 4/5 unskilled are pouring. gll bilkul theek kahi gyi hai.punjab ate punjabiyt te maan krn te fikkrmand hon waleya nu is baare jrur soachna chahida hai..
Mein tuhadiyan kayee gullaan naal sehmat naheen, pur pher v tuhaada drishtikon usaaru hai jo sehatmund charcha di vadhiya buniyaad hunda hai. Sweg Deol Well written on this issue in Punjab. ਪੰਜਾਬ ਸੂਬੇ ਵਿੱਚ ਪਰਵਾਸੀ ਮਜਦੂਰ, ਇੱਕ ਸਮੇ ਦੀ ਲੋੜ ਬਣ ਗਿਆ ਹੈ ਕਿਓਂ ਕਿ ਪੰਜਾਬ ਦੇ ਆਪਣੇ ਕਿਰਤ ਕਰਨ ਵਾਲੇ ਵਿਦੇਸ਼ਾਂ ਵਿੱਚ ਜਾ ਕੇ ਮਹਿਨਤ ਮਜਦੂਰੀ ਕਰਨ ਵਿੱਚ ਜਿਆਦਾ ਯਕੀਨ ਰੱਖਦੇ ਹਨ ਸ਼ਾਇਦ ਇਸ ਲਈ ਕਿ ਉਹਨਾ ਨੂੰ ਆਪਣੀ ਜਿੰਦਗੀ ਦੀ ਖੁਸ਼ਹਾਲੀ ਵਿਦੇਸ਼ਾਂ ਵਿੱਚੋਂ ਲੱਭਦੀ ਦਿਖਾਈ ਦਿੰਦੀ ਹੈ ਤੇ ਓਹ ਆਪਣੀ ਮਾਤਭੂਮੀ ਨੂੰ ਛੱਡਕੇ ਵਿਦੇਸ਼ਾਂ ਵਿੱਚ ਸਿੱਟ ਹੋਣਾ ਚਾਹੁੰਦੇ ਹਨ ! 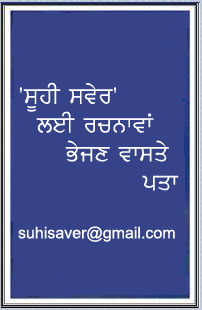 ਅਗਰ ਵਿਦੇਸ਼ਾਂ ਦੀ ਚਾਹਤ ਪੰਜਾਬੀਆਂ ਨੂੰ ਇਸ ਤਰਾਂ ਹੀ ਆਪਣੀ ਮਾਤਭੂਮੀ ਦੀ ਸੇਵਾ ਦੇ ਵਿੱਚ ਅੜਿਕਾ ਬਣਦੀ ਰਹੀ ਤਾਂ ਸਾਡਾ ਪੰਜਾਬ ਕਿਰਤੀਆਂ ਅਤੇ ਮਜਦੂਰਾਂ ਤੋ ਹੌਲੀ ਹੌਲੀ ਵਾਂਝਾਂ ਹੁੰਦਾ ਜਾਵੇਗਾ ! 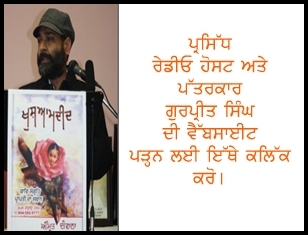 ਇਹਨਾ ਪਰਵਾਸੀ ਮਜਦੂਰਾਂ ਦੀ ਆਪਣੇ ਪੇਟ ਦੀ ਭੁੱਖ ਹੀ ਆਪਣੇ ਆਪ ਨੂੰ ਪੰਜਾਬ ਵੱਲ ਖਿੱਚ ਕੇ ਲਿਆ ਰਹੀ ਹੈ ! ਇਸ ਨਾਲ ਪੰਜਾਬ ਦੇ ਕਲਚਰ ਨੂੰ ਕੋਈ ਖਤਰਾ ਨਹੀ ਹੋ ਸਕਦਾ,ਜੋ ਲੋਕ ਪਰਵਾਸੀ ਮਜਦੂਰਾਂ ਨੂੰ ਪੰਜਾਬੀ ਕਲਚਰ ਵਾਸਤੇ ਖਤਰਾ ਦੱਸ ਰਹੇ ਹਨ ਉਹਨਾ ਦੀ ਸੋਚ ਸਿਰਫ ਇੱਕ ਪਾਸੜ ਹੀ ਹੋ ਸਕਦੀ ਹੈ ਜੋ ਖੁਦ ਇੱਕ ਮੰਦਭਾਗੀ ਸੋਚ ਹੈ ! ਪੰਜਾਬ ਦੇ ਕਿਰਤੀ ਮਜਦੂਰਾਂ ਨੂੰ ਇਸ ਲਈ ਇੱਕ ਮੁੱਠ ਹੋਕੇ ਇਸ ਸੋਚ ਦਾ ਵਿਰੋਧ ਕਰਨਾ ਚਾਹੀਦਾ ਹੈ ! ਬਾਕੀ ਸਾਰੇ ਭਾਰਤ ਵਿਚ ਹਿੰਦੂਵਾਦੀ ਪਹੁੰਚ ਵਾਲੇ ਲੋਕ ਹਨ ਤੇ ਬਾਰਤੀ ਸੰਵਿਧਾਨ ਸਿਖਾਂ ਨੂੰ ਸਿਖ ਮੰਨਣ ਲਈ ਰਾਜ਼ੀ ਨਹੀਂ ਹੈ ਇਹ ਕਿਉਂ? ਕਿਸੇ ਦੇਸ਼ ਦੀ ਤਰੱਕੀ ਲਈ ਮਰ ਮਿਟਣ ਵਾਲੇ ਸਿਖਾਂ ਨੂੰ ਜੇ ਕੋਈ ਦੇਸ਼ ਸਿਖ ਹੀ ਨਹੀਂ ਮੰਨਦਾ ਤਾਂ ਜ਼ੁਲਮ ਤੇ ਧੱਕੇ ਦੀ ਪਹਿਲ ਕਿਨਹੈ ਕੀਤੀ? ਫਿਰ ਸਿਖ ਜੇ ਪੰਜਾਬ ਵਿਚ ਆਪਣੀ ਹੋਂਦ ਦੀ ਕਾਇਮੀ ਬਾਰੇ ਸੋਚਦੇ ਹਨ ਤਾਂ ਫਿਰਕੂ ਨਜ਼ਰ ਕਿਉਂ ਆਉਂਦੇ ਹਨ? well balanced points have been discuued.well done .it is not a one sided view. iN TODAY'S WORLD, it is not possible to seprate one race from another. They have to develop relation or cooperate with each other due to various reason such economic, political, cultural etc. Same principle is applicable on fusion of punjabi and bihari culture.By alien itself from other culture is not looking an healthy approach.If you want that your cultue and traditions florishes in rest of the world than first you should boost up your power of acceptibilty . After all "EK NOOR TE SAB JAG UPJAYA KAUN BHALE KAUN MANDE" Our spiritiual unity is much more vital than our language or religion.REmember hatred give birth to terrorism whereas compassionate attitude toward evveryone can make this world a real Paradise. In my humble opinion, you are totally right..
jey kidhrey singh sajjey bahiyey ney, kisi sikh virodhi noon sodh ditta uss din oh bahiyea akhotian laee mahan soorma ho jana hey. sanu appni parvati noon jaldee hee samaj lenna chaida hey, nahin taan bahutt derr ho jani hey. Pehli gall Punjab vich raashan card rakh ke te vote paun vaala banda parvaasi nahi kaha sakda. Duji gall je ohi banda Bihar di election vele othe vi ja ke vote paa aunda ae jo aksar ho riha ae taan ohnu Punjabi parvasi di Bihar vich dakhal andazi kahvange. teeji gall es article de dairey te punjabiyan di khas kar sikhan di samajh ton kohaan dur ae oh eh ke hun bohata chir nahi tusi Punjab vich Punjabi da raula paa sakde kyonke Punjab di kismet da faisla ose din ho giya si jadon 1947 vich Purbi Punjab nu angrezan ne hindostan hawale kar ditta si, te os ton jaldi baad 1950 vich "Punjabi suba" lafz kehan te paabandi laa ditti gayi si. Jadon ke Tamil nadu, Gujarat, Karnataka vagaira sube banaye jaa raje si. 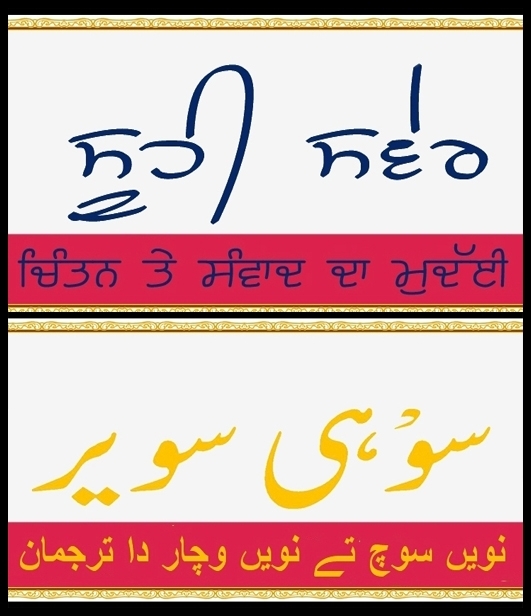 Hun Punjab ik do zubaana bolan wala suba(bilingual) shi maineyan vich fer dobara banan ja riha ae aun vale dahakeyan ch. Pehlan taan sirf Haryana de dakhni te dakhan pachhmi hisseyan te Punjabi hinu abadi de 1951, 1961, 1971 diyan mardam shumariyan vich apni maaboli Arya samaj te Jan sangh de kehna te Hindi likhaun karan hi Punjab hindi bolan valeyan di boh ginti wala suba si par hun asal vich eh to zubana bolan walaeyan da suba ho jayega, pehlan taan oh shehri lok jihna ne apne bacheyan nu sirf hindi hi sikhayi ae te fer duje parvasi. Assam vich vi ehi kujh hoya si 1947 ton baad. 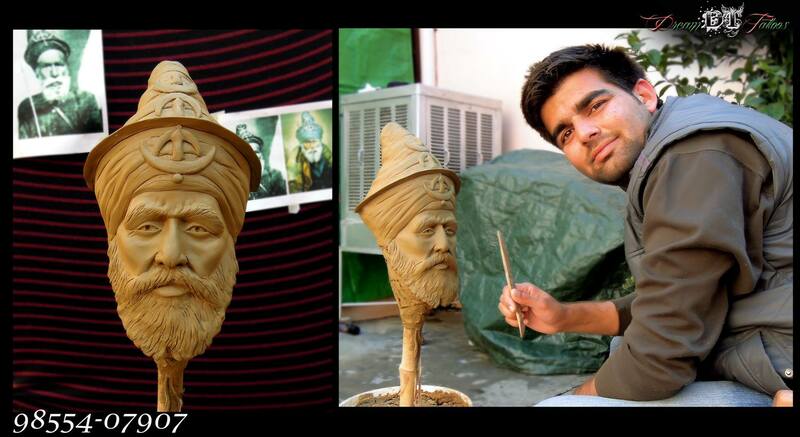 Chandigarh ch ajje vi 60 saal baad Punjabi ik optional subject vajjon parhayi jaandi ae jadon ke Hindi laazmi. Kinne hath jod laye punjabiyan ne kendar sarkar agge par taus ton muss ni hoye oh. Jadon Punjab vich vi Sikh minority aayi jo ke ik hona tai hi ae aun vale saalan ch, chahe jiven vi hove uddon Hindi da vi sarkari boli bann na lazmi hi ae so hun ton hi eh aadat paa layi jaave ke Punjab diyan do rajsi boliyan ne taan change gall ae. Thanks for re printing this article. i am living in Canada from last forty years. Some racist people always raising the simeilar voices against the immigrants.The contributions of the immigrants in the society always felt. moving from one place to the other is natural. This kind of debate always going on and it is very healthy. your articles are always worth reading. Due to lack of education most punjabi people or most people of the world have no clue of what is a nation or race or Language and hence CULTURE. The Identity is always given to you by the Other. Right after the birth ,the human is being told about who he/she is. The Sikh culture with its Caste system is Racist and IT does not want to share its Humanistic world philosophy given by the Gurus, who were born hindus , with anyone but themselves. This is very Hippocratic religion. The teaching of the Gurus is telling something else and majority of the sikhs have been living a Manuvadi life. No wonder they say the same things as the Brahmins are saying in the rest of India , where they do not even want women to prey in the temples. A praiseworthy, sane article in times of cultivated madness and stupidity.